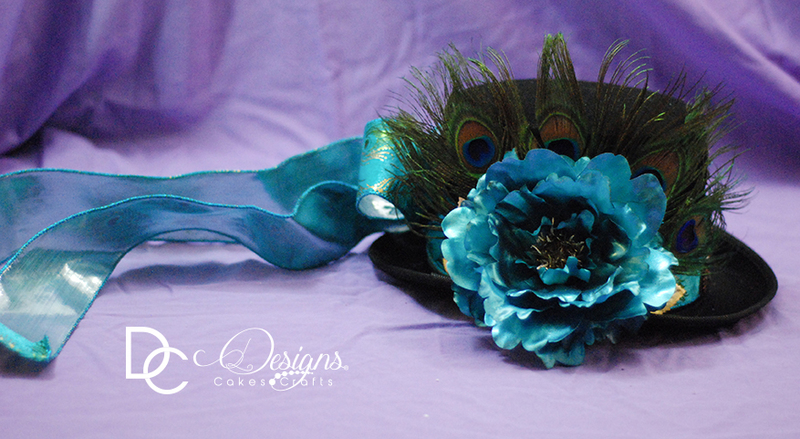 We love our peacock colors so there's always an excuse to make something with them, and this hat is no exception. While one side is decorated with a beautiful turquoise flower and peacock feathers, the other side features chains and pendant feathers. 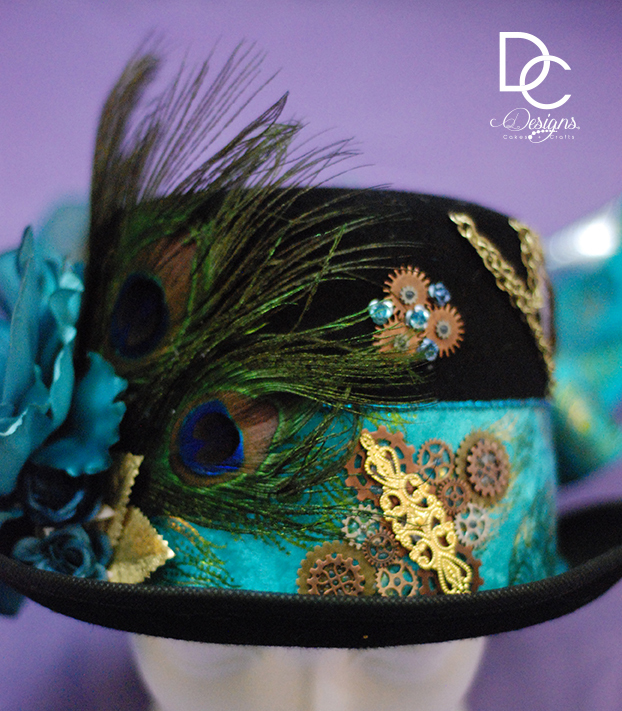 Gold colors tie in all the elements throughout the hat, as the hat is wrapped in a peacock feather print.